Kygo has revealed that he will hold a residency at Ushuaïa Ibiza this summer, running Sundays at the Playa d’en Bossa nightspot from 9th July to 10th September. 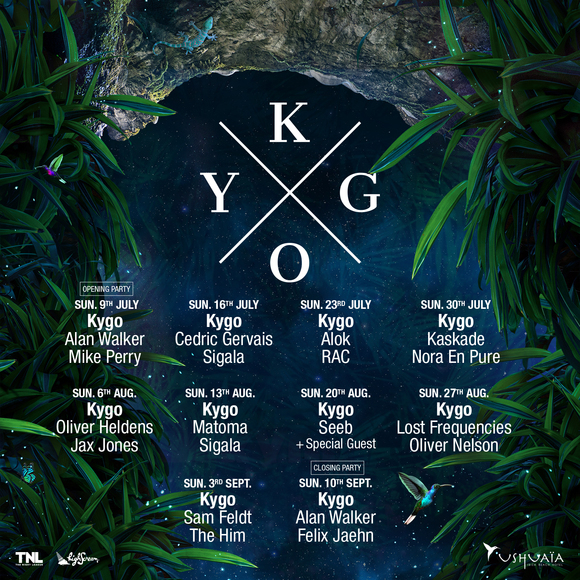 You can see the full line-ups for Kygo’s residency below, which include guest appearances from recent DJ Mag cover star Oliver Heldens, as well as Kaskade, Alok and many more. Kygo also recently announced his first ever residency with Las Vegas titans Wynn Nightlife, on a two-year exclusive deal. That was after he mysteriously deleted his entire Instagram feed. Check out the full line-ups for Kygo’s 10-date Ushuaïa Ibiza residency below.